Gorgeous flowers. Bees must love your yard! Thank you. 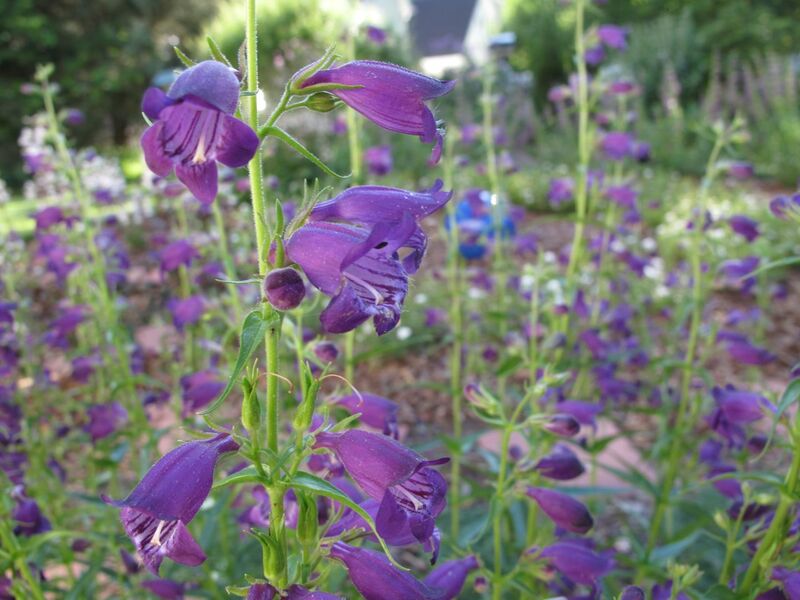 The penstemon seems to be quite attractive to bees. And they like the tradescantia too. I love penstemons, and these look so big and healthy! (I have given up trying to grow them as they often succumb to our bitter winters.) A lovely colour too. 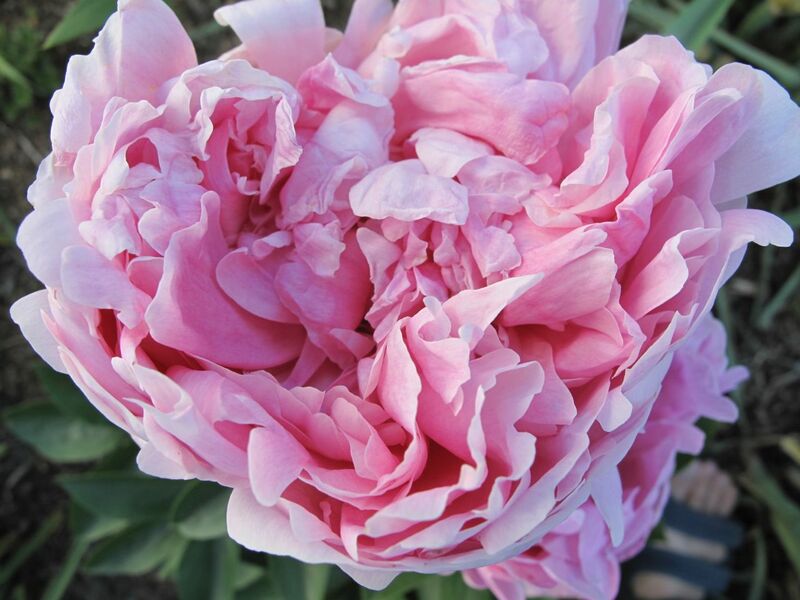 Your irises have lasted well and that peony is beautiful! Thanks for a lovely post again! Thanks! 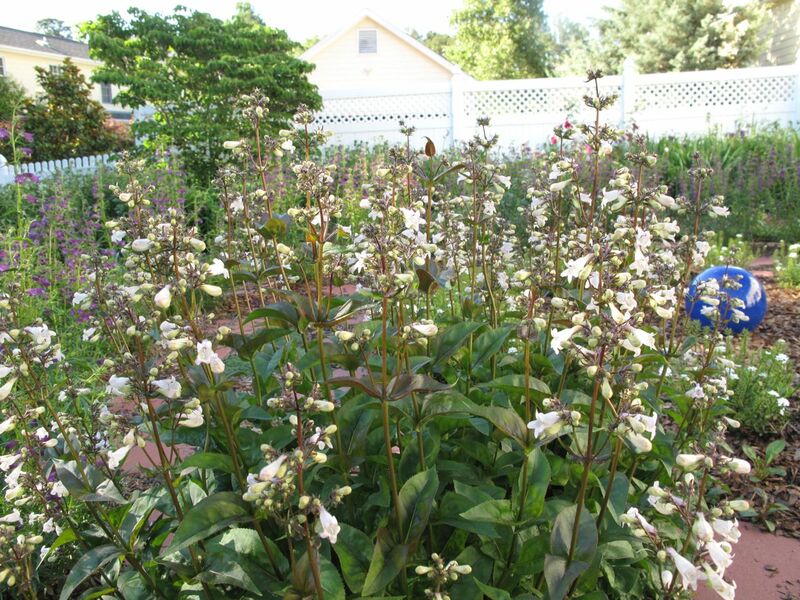 Too bad you’ve had to give up penstemons, but you sure have quite a great variety of plants. Glad you stopped by. 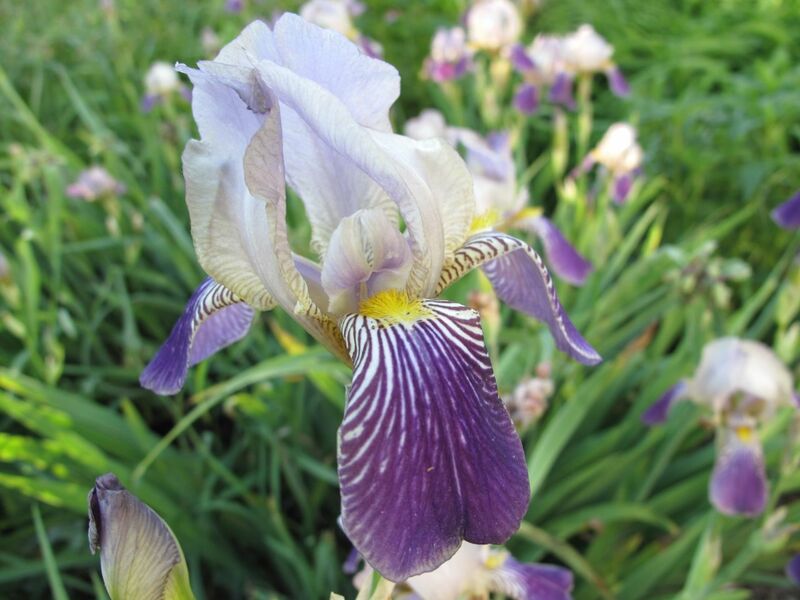 Oh Christina, feel free to indulge when it comes to irises! I am taken with that meditation circle. It looks better every time I see it. 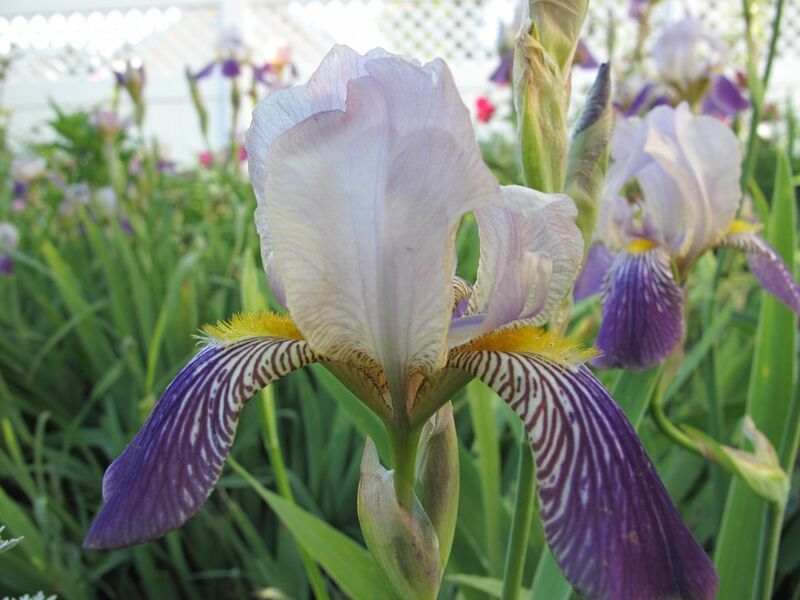 My irises are still in the coming up stage. Thanks Sandy. 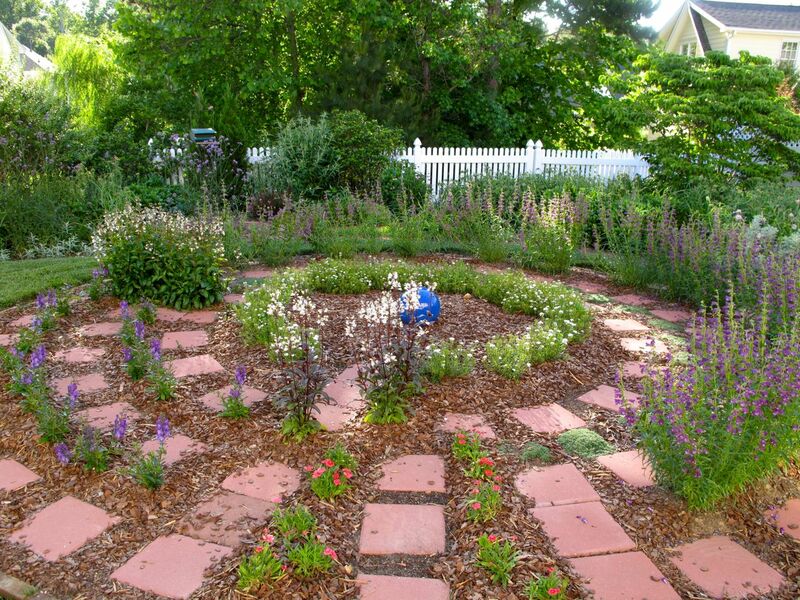 The meditation circle added a nice focal point to the garden and a nice place to just be. I may always be experimenting with the various plantings but perhaps that’s the nature of gardening. 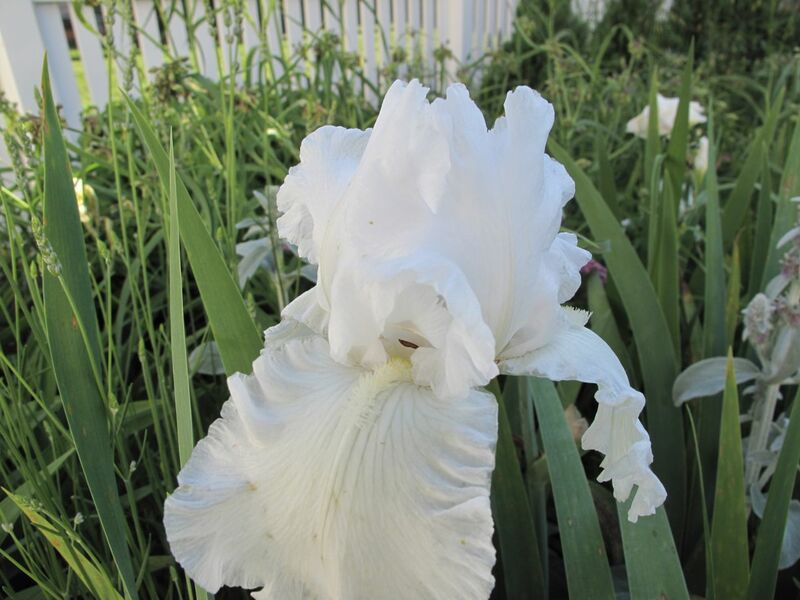 It’s nice to anticipate the irises. Hope they do well for you this year. I’m already missing mine as they quickly wane. 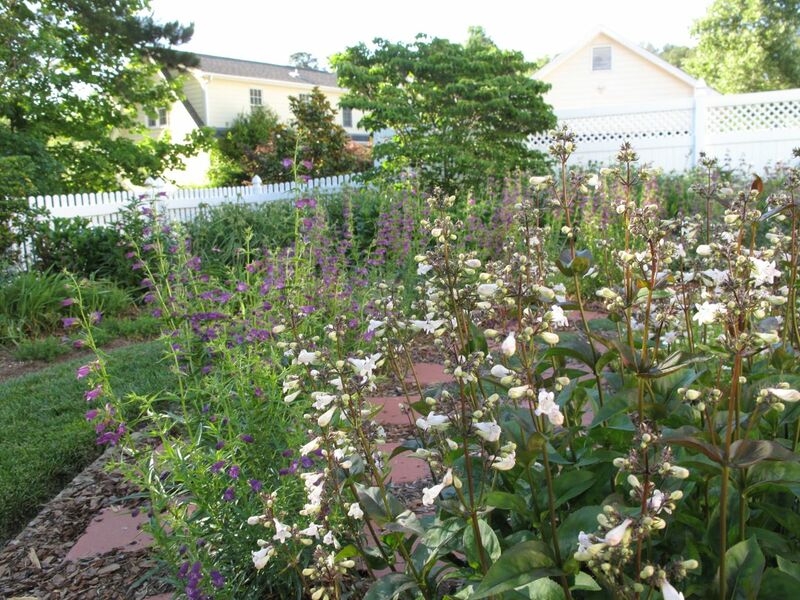 I’ll have to grow some Penstemons for the bees. Are they invasive? I have Bee balm in the garden and they spread like weeds. 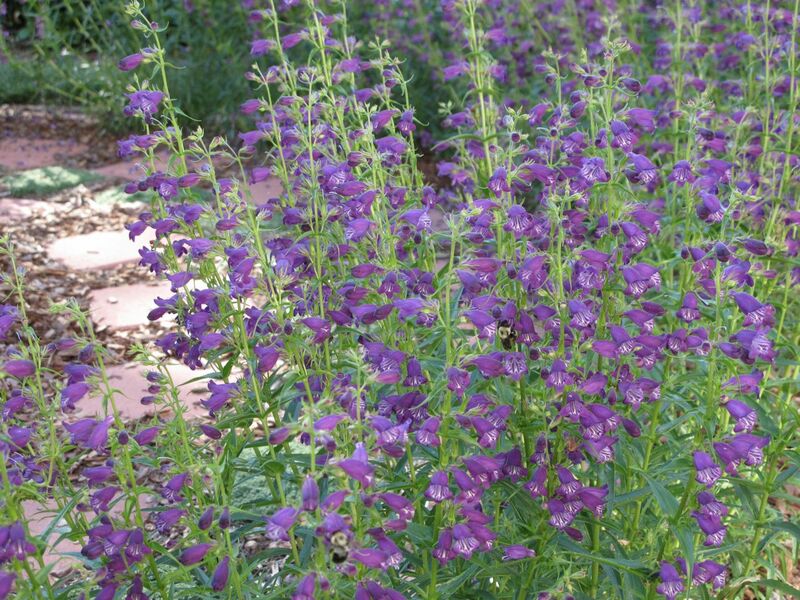 Do give penstemon a try. I don’t think they’re invasive but it is always safest to check lists for your area. Bee balm does spread easily in my garden too but it’s native here and not too hard to pull up when I need some room.